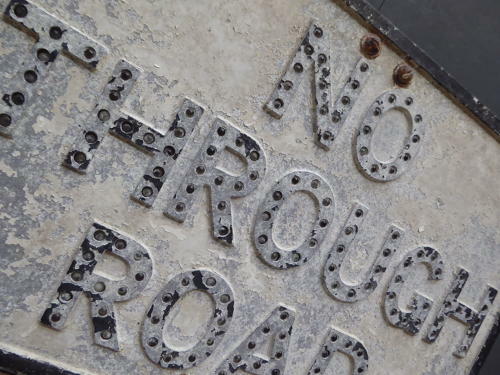 A wonderful early vintage 'No Through Road' road sign. A superb surviving example in original painted finish, studded with small glass reflectors & bearing the makers mark for 'Franco Signs' along the lower edge. A fabulous piece of motoring memorabilia, a rare survivor & an awesome display piece. Wear commensurate with age, very good overall, totally unrestored with all reflectors present.